Contemporary message, cool music, drama and true life interdenominational teaching about God took the Willow Creek Community Church from a handful of lively students in the 70’s to nearly 24,000 followers flocking the northwest suburbs of Chicago each week to investigate Christianity. Willow Creek’s highly motivated congregation continues to grow with more than 100 ministries serving the spiritual, physical and relational needs of millions around the world, and affiliated churches in 13 different countries. Today’s Willow Creek congregation joins together for their spiritual journey at a million square foot campus situated on 155 acres of farmland in Barrington, Illinois. The latest facility addition included a $73 million, four level, 7200-seat auditorium used for weekly services, full production musicals, multimedia presentations and lectures. The college campus style setting of Willow Creek promotes its community atmosphere and social interaction by offering a 10,000 title library/bookstore, food court cafe, conference center, gymnasium style activity center, food pantry, class rooms and lecture halls, as well as the ever popular cappuccino and Wi-Fi bar. Keeping the facilities adequately cooled during the hot summer months has been quite a challenge when cottonwood season is in full bloom. 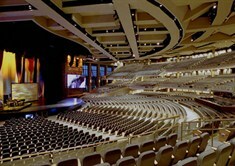 The auditorium is filled to capacity for its multiple event-style religious services every weekend and mid-week. Top-of-the-line audio visual systems and computer equipment run continuously for ministry activities throughout the rest of the facility. Three Marley cooling towers are utilized to keep the facility cooled. They cool the water needed to cool the refrigerant for two 400 tone Carrier chillers that are part of their chilled water loop air conditioning system. As water in the cooling tower trickles down through the tower, high volumes of air blow across it. Airborne debris that gets mixed in with the water, like cottonwood, end up in the cooling tower basin. The cooled water in the basin is piped into the building and runs through a strainer to clean these contaminants out. Willow Creek’s HVACR specialist, Shaun Hager, said that during cottonwood season, they needed to remove and wash the clogged strainer two times a day, taking up to 45 minutes each time. Solid contaminants sucked into cooling towers can also deposit on heat transfer surfaces, increasing fouling factors and energy consumption. These contaminants also clog the small spray nozzle orifices and cause poor distribution through the fill. Routine cleaning of the PreVent filter face will be done when each system cycles off, since they rotate between three cooling tower units, depending on heat load. 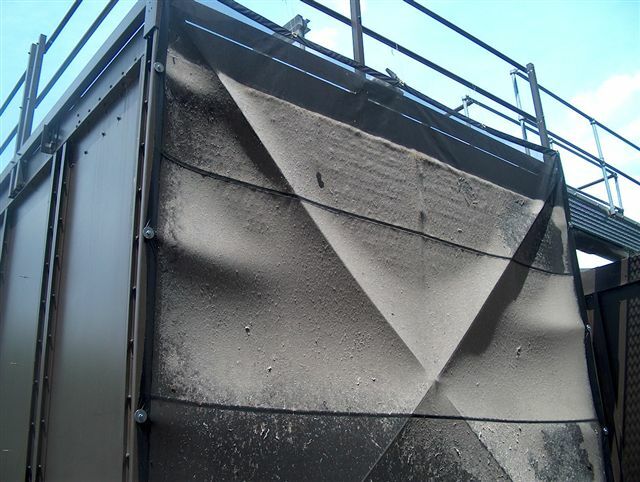 Annual cooling tower cleaning also includes manual cleaning of the water basin, and mandatory equipment shut-down for the duration of the cleaning 1 time per year. Contaminants left in the basin promote bacteria and algae growth, increasing the need for chemical treatments, which ultimately reduce the basin life. Basin cleaning is also simpler with the PreVent filter because the messy solid contaminants were kept out of the system to begin with.